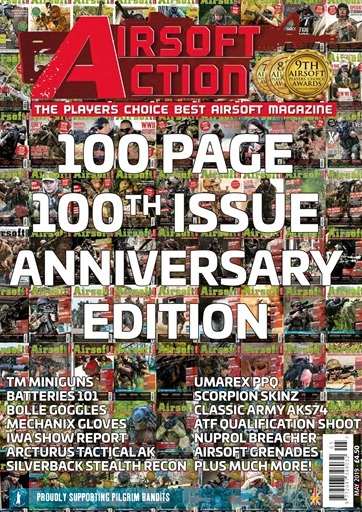 Welcome to the 100th Issue of The Best Airsoft Magazine, as voted for by airsoft players around the World. 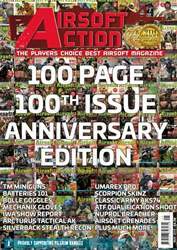 To celebrate we have made it a huge 100-pages big, which means more reviews, more reports and more of everything you love about airsoft! In this issue we take a look at various reincarnations of the world-famous AK47, including an Exclusive review of the Arcturus AT-AK04 Carbine and the Classic Army AKS74. Elsewhere get our hands on NUPROL's Pioneer Breacher, Silverback's SRS and Umarex's take on the Walther PPQ, plus get a little look at Tokyo Martui's little "Mini Guns" - are they useful in airsoft, or just fascinating toys? Europe's biggest gun trade show, IWA, took place at the beginning of March and we have the first of two reports, this one lookling at guns and accessories. In the next issue we'll focus on the plethora of tactical kit at the show. 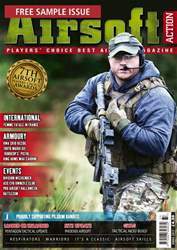 There is so much in this issue, we don't have space to list it all here, so grab yourself a copy, find somewhere you will not be disturbed for a couple of hours and enjoy Issue 100 of Airsoft Action - the Number One Global Airsoft Magazine!